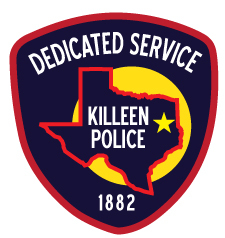 Detectives with the Killeen Police Department are investigating multiple Aggravated Robbery reports filed between October 8th and 11th, 2017. The victims advised that they met the suspect through on online website and agreed to meet to purchase items. Through subsequent investigation, detectives were led to a 16 year-old male juvenile suspect who was arrested on Thursday, October 12, 2017. The juvenile was transported to the Bell County Juvenile Detention Center. A search warrant was conducted at the residence of the juvenile, where property belonging to the victims was recovered. This suspect is believed to be involved in additional Aggravated Robberies and the investigation will continue. The Killeen Police Department encourages the public to utilize our Safe Exchange Zone located in the lobby of the Police Headquarters at 3304 Community Blvd. when meeting for online sales. Trust your instincts. If it sounds too good to be true, it normally is. In the case of sales, don’t go alone. Insist on meeting at a public place such as the KPD Safe Exchange Zone. Do not meet in a secluded area. Do not invite strangers into your home, and do not go to theirs. Be cautious when buying/selling high value items. Perform the transaction during daylight hours. Tell a friend or family member about your intentions and where you will be. This warning is not necessarily directed at legitimate sales and dating websites, although common sense and caution should always be exercised when meeting a stranger for the first time.